BAT - BLOG : BATMAN TOYS and COLLECTIBLES: Andre's Vintage 1970's #BATMAN AND ROBIN Photo is Now a #BAT-BLOG Wallpaper!! Andre's Vintage 1970's #BATMAN AND ROBIN Photo is Now a #BAT-BLOG Wallpaper!! OK, the other night I got this wonderful vintage photo in an email from a Bat-Blog Fan and I totally love it! I mean, once I saw it I knew it had to be shared with everybody because it is so... SO great! In fact, the pic was kinda big so I went ahead and made a 1440 X 900 Desktop Wallpaper out of it. So, if you like it please be sure to use it to brighten your desktop. Anyways, like I said, a friend of the site sent this. His name is Andre Ribeiro and he lives in Brazil. He has always been a huge Batman fan and he recently found this photo stored in some boxes. It is a family photo that was taken around 1977. 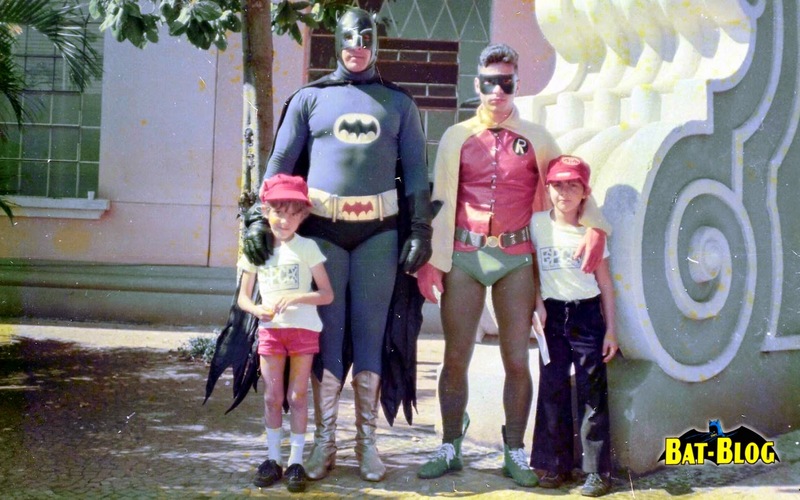 Andre is standing next to "Batman" and his brother is near "Robin". It was at a party held at a military school in his country.